As per usual, the 2nd most important competition in the jiu jitsu world did not disappoint. Missing some of its biggest starts from the get-go, the enigma lying underneath the 20th edition of the Pan American Jiu Jitsu Championship was: “who will rise up to the occasion and take over the wholes left by the bigger names?” And many did. The one that stood out the most may very well have been Leandro Lo, but Leandro’s deed (gold at middleweight and silver at the absolute) was somewhat over shadowed by the fact that this year’s tournament had four non Brazilian gold medallists at the men’s adult black belt division and 6 finalists (5 of those Americans). A sign of good things to come for both the American and European crowd, who saw JT Torres, Keenan Cornelius, Gianni Grippo (Grippo with a by from his team mate Vitor Genovesi) and Alexander Trans dominate their divisions in great fashion. 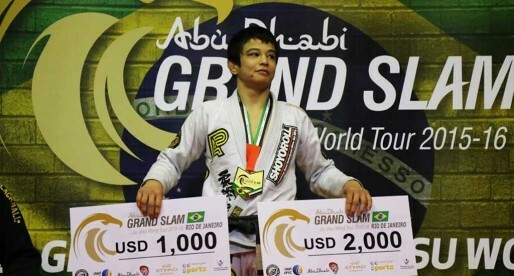 Another fundamental figure in the 2015 Pan American Championship was Bernardo Faria who did the unthinkable, submitting (and passing the guard of) Leandro Lo as Leandro was set to be the lightest man in the history of our sport to win gold at the Pan American absolute division. Below are the results of all the fights that occurred at the adult black belt divisions, male and female. Thanks BJJHeroes. That was really quick on the update. (Btw, a typo at rooster weight final – Choke*). Also – at medium heavy, I think it was Keenan that took gold.